This book rigorously examines the controversy over the death penalty with clarity and cogency. After Dr. Ron Gleason lays a thorough groundwork in history and law, he defines ethics philosophically, and then presents the Biblical mandate. 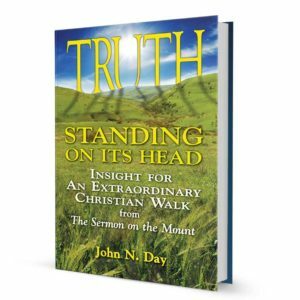 For the secular reader, he illustrates the positions of leading thinkers on both sides of the issue and examines their arguments down to the foundational premises. For Christians—both for and against capital punishment—Dr. Gleason identifies the governing Scriptures and illustrates them with commentary from the confessional statements of the historic Reformed Church and some of the foremost voices in the Church today. Proponents on both sides will find the issues in focus and the arguments framed for more meaningful discussion. But as he homes in on the heart of the matter, the reader may find himself drawn persuasively to Gleason’s conclusion. This book rigorously examines the controversy over the death penalty with clarity and cogency. Dr. Ron Gleason challenges both sides of the capital-punishment debate to know and articulate their positions more definitively. He avoids simplistic answers to this serious topic, recognizing that real lives are at stake. This book assesses and provides clear guidance for establishing and maintaining a safe and righteous society. In a society that wants to deny a divine absolute standard, I find Dr. Gleason’s work both challenging and thought-provoking as he systematically provides the Biblical basis supporting his view on capital punishment. Fuzziness on ethical issues is the bane of modern thinking. Happily, there is a voice of clear reason on the scene. Dr. Ron Gleason brings genuine moral clarity to the issue of capital punishment by his illuminating survey of American History. The reader will be most appreciative of Dr. Gleason’s masterful discussion of the objections to the death penalty. This book is a must-read for all lawyers, judges, and law officers. Speaking as an attorney and retired Marine Lt. Colonel, I find that Dr. Gleason systematically examines the historical background, the objections, and the scriptures to present a compelling argument. Dr. Gleason’s book has settled the issue for me and I challenge those on both sides of the issue to read it. resources to work through this topic and equips them to discuss it with others. This powerful book will make a significant contribution to this topic. I recommend it for careful reading, study, and discussion. The Death Penalty on Trial is a must-read for anyone questioning the ethics of capital punishment. Dr. Gleason’s treatment lays a foundation and framework of thinking that is essential for discussion. Many have mistakenly tried to defend erroneous positions because they have been misinformed by historical inaccuracies. This treatment to key historical documents is crisp, clear, and a valuable resource for anyone discussing this often emotionally-charged topic. Those dealing with current judicial reform need to read this to gain insight, not only to the issue of capital punishment, but also to those issues that surround (and often cloud) it. is Dr. Gleason’s response to those who argue against capital punishment on the grounds that it is better for ten guilty men to go free, than one innocent man to be executed. At a time when sentiment and the spirit of the age too often characterize liberal ethical reflection, how refreshing it is to see careful Biblical reflection on one of the great issues of our day. Dr. Gleason not only articulates and defends the Scripture’s teaching on capital punishment, but also cogently responds to many of the contemporary objections raised. Accessible without being simplistic, this book should be in the hands of every individual seeking light on this controversial topic. Dr. Ron Gleason, born 1945 in Charlotte, NC, earned his B.S. in Bus. Admin. at The Citadel in SC. After his time in the Army as a tank commander and instructor, he worked at Pfizer Inc. laboratories in Knoxville, TN. Then in 1973, he experienced his call to serve the Lord. Ron earned his M.Div. from Gordon-Cornwell Theological Seminary in MA and his doctoral degree in Systematic Theology under a Dutch government grant at the Theological Seminar of the Reformed Churches in the Netherlands. Back in the US, he earned a PhD from Westminster Theological Seminary in PA. He pastored a Dutch church in Holland till 1985, then pastored Bethel Canadian Reformed Church, Toronto till 1994. He is currently the pastor of Grace Presbyterian Church (PCA) in Yorba Linda, CA. He lectures internationally and in the US, and has authored numerous books and articles. He publishes a weekly newsletter on ethics, entitled Ethos. Among his published and upcoming titles are children’s books, books on sports (baseball and wrestling), and his biography of the late Dutch theologian, Herman Bavinck (1854–1921), by the Presbyterian and Reformed Publishing Co. in 2009. 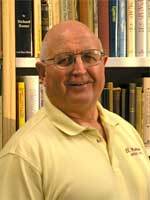 Ron is presently the Stated Clerk of South Coast Presbytery of the PCA. He is the President of California Exodus, an organization that encourages parents to remove their children from public schools. Many of his articles can be found on his Web site at rongleason.blogspot.com. On November 30, 2010, Dr. Ronald Gleason was informed that his book titled, Herman Bavinck: Pastor, Churchman, Statesman, and Theologian, was one of three books on the “Short List” for the 2011 John Pollock Award for Christian Biography. One damp afternoon about 4400 years ago, the Creator of the universe had a little heart-to-heart with Noah, one of only eight persons to survive a world-wide cataclysm that effectively reduced the earth’s population by at least 99.999999999 percent. The Creator was concerned that His creatures would not have to suffer another similar extinction event because of their sinful rebellion against His just and righteous authority. Whoso sheddeth man’s blood, by man shall his blood be shed, for in the image of God made he man. 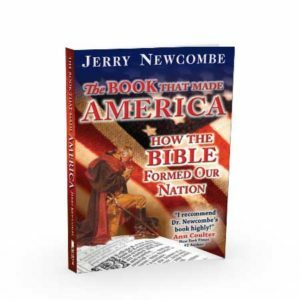 Right then and there, the Creator God laid down the law and established the moral and practical foundation for human civil government, making man responsible for dealing with crime. Murderers—those who kill for any reason except self-defense and to protect society—must always forfeit their lives, because to do otherwise is to thwart the Creator’s will in making man in His image. You’d think that would have settled the matter, but you’d be wrong of course. In their long war against God, the children of Noah have shown endless inventiveness in contriving excuses for their wrongdoing and circumventing God’s expressed will, and the current widespread confusion concerning the death penalty is but one outcome of this battle. 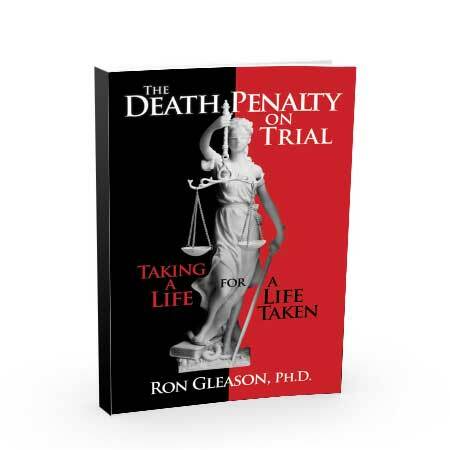 In The Death Penalty on Trial, Ron Gleason presents as clearly as can be done just why the death penalty is essential not merely to maintain an orderly, civilized society but also why God instituted it—and why failure to implement it entails God’s judgment. It’s fair to say there is many a civil magistrate alive today who thinks s/he is doing a good, humane thing by not executing a murderer but who will one day be judged and condemned by the Creator for overthrowing His law as first revealed to Noah—a sobering thought, indeed. Gleason’s replies to these objections are informed by not only Scripture but also secular research and just plain common sense. Read The Death Penalty on Trial to see how Gleason responds to these notions. It’s a short book, accessible, with good research to support the author’s viewpoints. Every child of Noah should know how the Creator feels about the death penalty and, in contemplating the awesome righteous judgments of God, pray that he never have cause to be subjected to it. Gleason makes a bold and compelling case that the death penalty is the biblically mandated punishment for murder. While it is true that capital punishment was used in biblical days for a host of crimes, including Sabbath breaking, blasphemy, witchcraft, and belligerent children, Scripture teaches, he argues, that the death penalty for murder is for all time. A major point of the book is that while all murder is killing, not all killing is murder as in the case of self-defense, just wars, or the death penalty (59, 100). Genesis 9:5–6 is “a foundational text” (24) because the covenant made with Noah was unilateral, universal, and everlasting (25–26). This text also provides the reason premeditated murder is a capital crime. “Murder is a capital crime because man is made in the image of God. Being God’s image bearer gives man a particular value that can never be eradicated” (26). Man’s divine creation provides the moral basis for the sanctity of human life. “Murder is punished with death because to kill another human being is to destroy one who is a bearer of the divine image” (27). Thus, murder is a direct assault upon God himself. Although Gleason does not address differences among theologians as to what extent God’s image remains in sinful man, Genesis 9:5–6 “direct us to the inherent value that every human being has due to the fact that he is created in the image of God” (27). That the Bible advocates and even commands the enforcement of the death penalty seems almost like it should be beyond controversy. The dignity God gives to humans, created as they are in his image, demands the utmost penalty for those who would recklessly and deliberately destroy life. Yet controversy abounds with many of those who profess Christ insisting that a God of love and justice would never endorse the use of this ultimate human punishment. Into the midst of this controversy wades Ron Gleason, pastor of Grace Presbyterian Church in Yorba Linda, California in his new book The Death Penalty on Trial. Written primarily for Christians, so they can support the death penalty and do so coherently from moral, historical and biblical perspectives, this book offers a thorough defense of the death penalty and a defense against the arguments, both secular and Christian, so often lodged against it. Gleason sets the book firmly in the context of church history, looking first to the death penalty in history and then in the history of the church, showing how through the years the majority of Christians have believed that the Bible gives license to the state to execute those guilty of murder. He looks as well to the Old and the New Testament. Though it is difficult to deny that God supports capital punishment in the Old Covenant, many Christians have argued that it should no longer apply in the New. Arguing straight from Scripture, Gleason shows convincingly that this is simply not the case—the New Testament assumes capital punishment and insists upon the right of those in authority to enforce it. The government, after all, (as we learn in Romans 13) does not bear the sword in vain, but is the servant of God, an avenger who carries out God’s wrath on the wrongdoer. Gleason dedicates a chapter to answering the objections of secularists and another to answer the objections of Christians (though, surprisingly, many of the objections are not far removed from one another). Writing as an American to a primarily American audience, he questions whether the death penalty can be considered cruel and unusual punishment and shows how the framers of the Constitution clearly believed in the capital punishment. He answers objections that the death penalty devalues human life (showing that, in fact, the opposite is the case) and that it has not been proven to be an effective deterrent (to which he responds, in part, that at the very least it is a deterrent to the one who has been executed). When looking to the arguments of Christians he answers objections that Jesus’ new ethics removed the need for the death penalty, that those who are forgiven by Christ ought to be forgiven by men and that the death penalty is an affront to God’s justice. In each case he answers well from Scripture or from plain reason. It bears mention here that Gleason is Presbyterian and at times his book is a little more Presbyterian-friendly than Baptist-friendly. This is to say that he would acknowledge a level of continuity between the Old Testament and the New Testament that many Baptists might deny. But though this may affect one or two of his arguments, it certainly does not detract much from the power of his arguments. A theme that runs throughout the book is this: all murder is killing but not all killing is murder. Thus a person who murders another can be justly executed by the governing authorities without multiplying the evil. To kill a murderer is not to commit another murder. Rather, terrible though it is to have to take a life, it is an act of justice and a fitting penalty for one who would destroy a person made in God’s image. This is the first book I’ve read by Gleason, an old family friend and my former pastor from his years ministering here in the Toronto area. 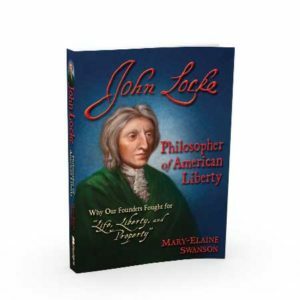 I was impressed with the logic and the fluidity of his writing as well as with the power of his arguments. 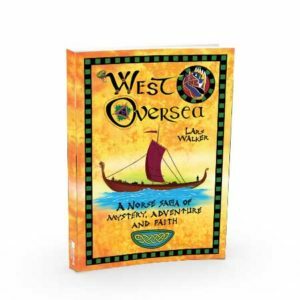 The book is well-researched and well-documented, drawing from a wide range of sources. And though, as a scholar, Gleason could easily have written an academic treatise, this book is suitable for the rest of us. His argument are as easy to follow and digest as they are to read. Though it deals with a niche topic, this book deals with an important one and I commend it to you.